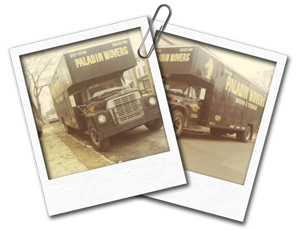 Paladin Moving Company was established in 1966, starting out as a Bronx moving company. My father, Harry “Big H” Lapham, invested everything he had to purchase one truck and open a small office on Castle Hill Ave, where we started our family adventure. Dad, married and with a new baby on the way, was determined to have Paladin Moving Company succeed. Dad came from very humble beginnings: He grew up in West Farm in the Bronx and had to fight for everything he had. My father’s childhood friend started a trucking company and needed men to drive trucks and deliver furniture and steel filing cabinets in the Bronx, Queens, Brooklyn, Manhattan, and Staten Island. Dad jumped at this opportunity. At the time he had no experience driving a truck – and, as a matter of fact, no license – but he became the top man in the company through strong will and determination. Ten years later, having never missed a day of work, Dad left to go out on his own and started Paladin Moving Company. My brother and I worked for the moving company as well, and my dad instilled in us a strong work ethic. Every day he would yell that Paladin Moving Company had to be the best – that was all we ever heard. If we didn’t do our best all the time, there would be hell to pay. 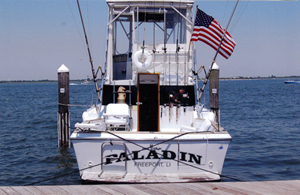 Paladin Moving Company eventually expanded to Queens, Brooklyn, Manhattan, Staten Island, and Long Island. Today, over 40 years later, we consider ourselves the best moving company in the region. As a small, family-owned and family-operated company, we’ve generated business almost entirely through recommendations from our past clients, who have been very happy with the work we’ve done for them (see Testimonials for Paladin Moving Company). Thanks to our customers, and without the need for formal advertising, we’ve been the moving company of choice for residents of Nassau, Suffolk, Manhattan, Queens, Brooklyn, the Bronx, and Staten Island for decades. We truly understand the concerns families have when choosing a moving company, such as the character of strangers coming into their home and the potential for damage to their property and personal belongings. The moment we arrive at your home we will make you feel comfortable, thanks to our staff’s professional appearance and our clean, beautiful trucks and equipment. No other Long Island or New York City moving company – not one of them – can beat Paladin Moving Company’s top-quality, highly praised professional service, qualities that Dad – Harry Lapham – instilled in everyone in our family. Thanks, Dad.